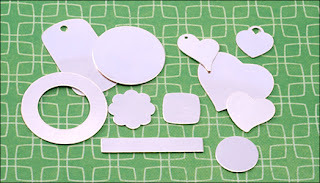 Beaducation: The Blog: So Much New Product- blanks, tools and SILVER FILLED! So Much New Product- blanks, tools and SILVER FILLED! Lately, my biggest beef with Beaducation, is the fact that we have been getting too much new product in stock. Everywhere I turn there is something I want. My favorite new blank is our Sterling Silver Puzzle Piece. It really is the cutest blank on the planet. 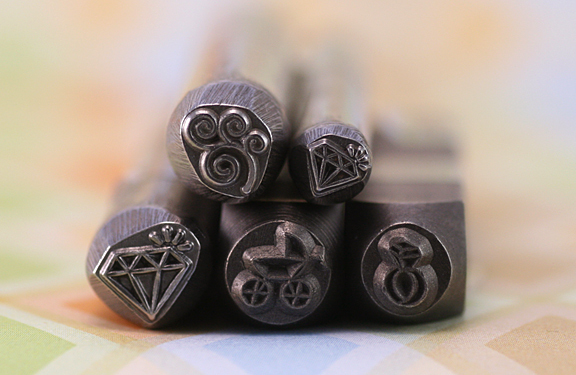 Our Design Stamp selection keeps expanding and expanding. A few new favorites of mine are the Diamond Ring, the Sparkling Diamond, the Large Sparkling Diamond, the Tricycle, our Beaducation Original Ornate Key and our Large Spiral Branch. All three new diamonds are perfect for wedding and anniversary gifts and the tricycle has been a popular one for baby showers. I have heard it through the grapevine that Lisa has dozens of new Beaducation Original Design Stamps set to come out in the next month or so. In the tool department, the most amazing new torch we are carrying has to be the Max Flame Jeweler's Torch. The moment we unpacked it from the box, Kate gave us a great demo and it became clear that this was not a 'creme brulee' kitchen torch. 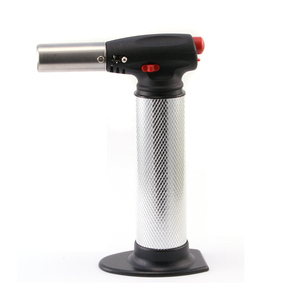 It has the feel of a real professional jeweler's torch. I myself, had been using a plumber's torch for my fusing and quickly upgraded and was very impressed. It has been so easy to use and heats up my metal quickly and evenly. Lastly, I have had a difficult time containing my excitement around the office at the introduction of Silver Filled Blanks and Wire for the first time ever at Beaducation! Lisa and I had the chance to play with them a couple weeks ago and just put them on the site last night. The blanks have the same look and feel as Sterling and are great for metal stamping. They can be oxidized and polished just the same as Sterling and if you can wear Sterling, you can wear Silver Filled with no allergic reaction. Silver Filled is hundreds of times thicker and more durable than Silver Plated and the best part is that it is nearly a third of the cost of Sterling Silver. The staff here at Beaducation may just buy them all up before customers are able to get their hands on them. Luckily, we have already put in another order in anticipation of their popularity.